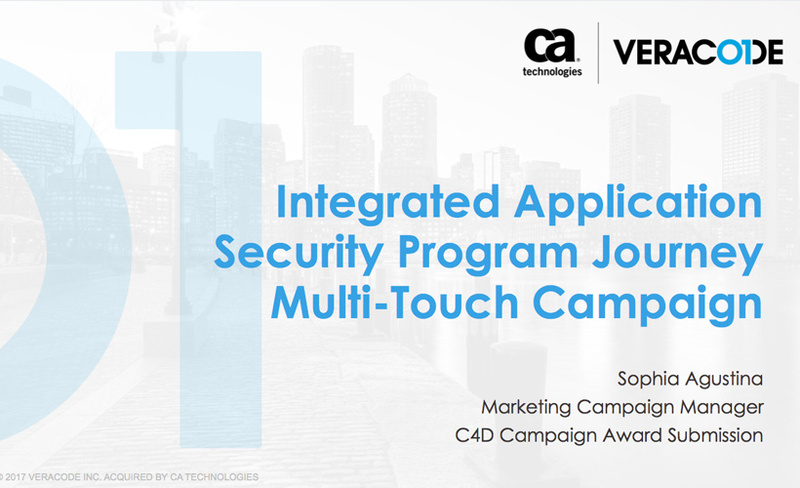 As a division of CA Technologies, Veracode created the Application Security Program Journey multi-touch campaign to drive awareness and generate demand for application security. 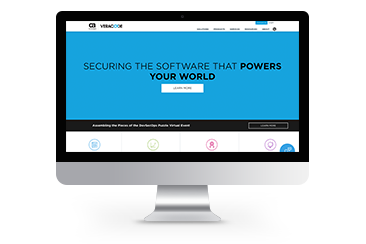 Veracode also sought to assess the current state of applications security programs within target markets. The integrated multi-touch campaign consists of various content mapped against the buyer’s journey as well as multiple inbound and outbound promotional tactics. 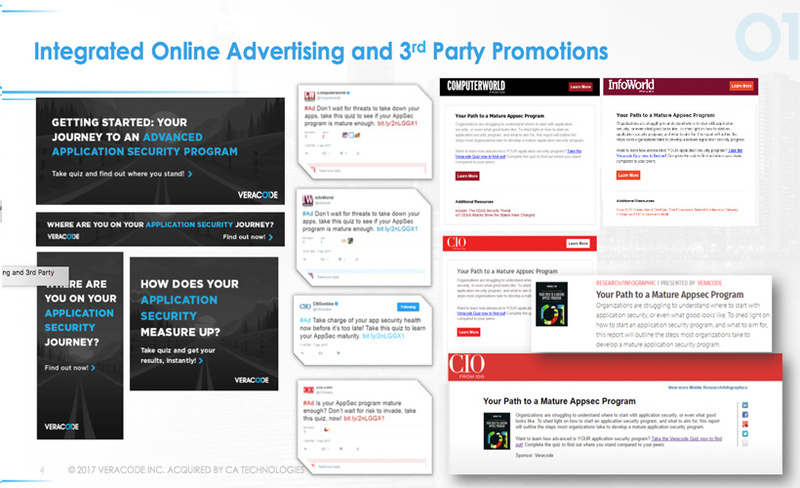 Content assets included an infographic, video, webinars, e-guides and blog posts, which were all promoted via email, media programs, online advertising, social media marketing and online events. Since its April 2017 launch, the campaign has garnered 4,000 inquiries, 479 opportunities and 241 wins. Create a variety of content assets in order to better understand what offerings resonate with your audience, and gauge what performs best for different promotional channels. 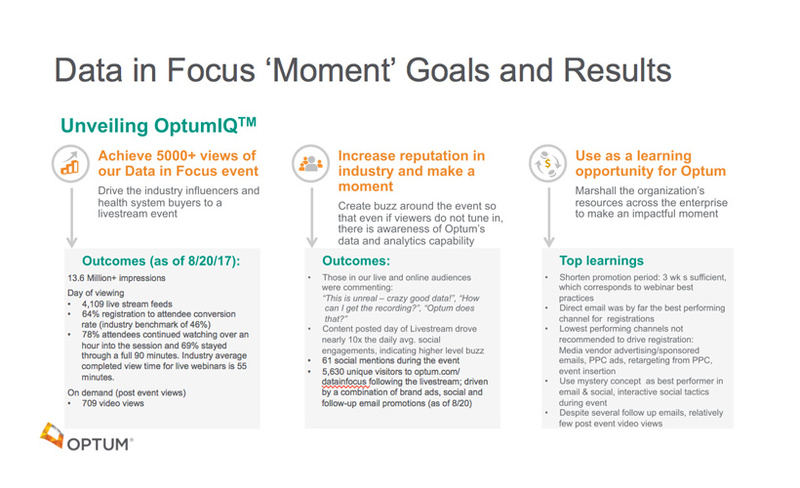 To promote the launch of its new brand, OptumIQ, Optum created Data In Focus, an event to attract decision makers and influencers in person and via a livestream. Optum created a “reveal” campaign to drive registrations and generate buzz. Over a six-week period leading up to the event, the company unveiled key event details via an integrated campaign. Content teased event topics and external speaker titles and organizations, including New York University, Cleveland Clinic, Cigna and Sanofi. The promotional mix for the reveal campaign included email, paid and organic social, digital media/industry/association advertising, pay-per-click and retargeting ads, direct mail, event flyers, garnering 5,022 external registrations and 4,109 livestream feeds. In person registration-to-attendee conversion rate was also 64% — much higher than the 46% goal. 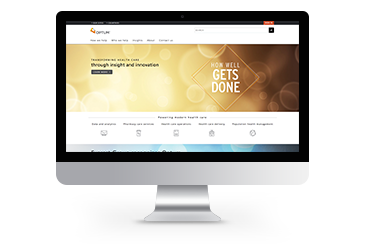 Following the event, Optum utilized email, the campaign microsite and a nurture campaign to promote its data and analytics products and services. 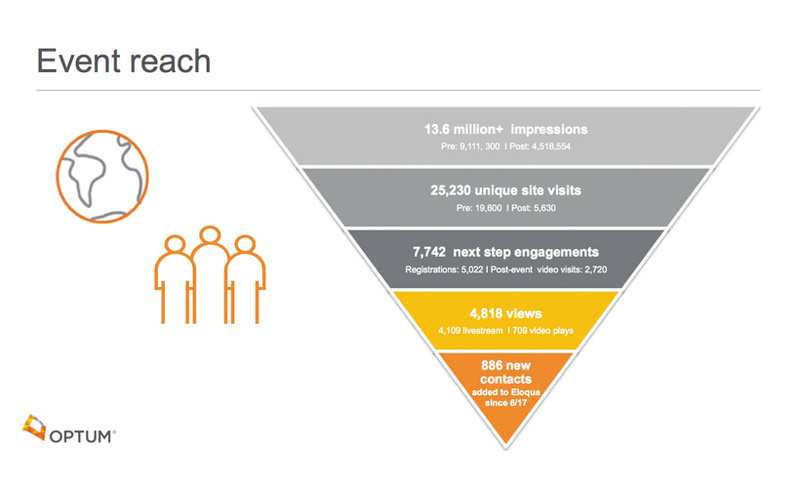 As of the nomination process, Optum garnered 13.6 million impressions, 25,230 unique site visits and 886 marketing contacts. Reuse and repurpose event content for long-term campaigns in order to get the most value out of your investments. 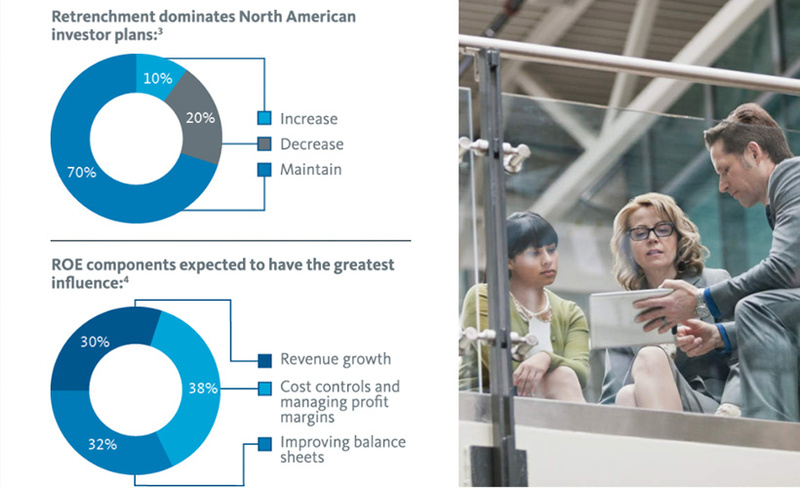 Broadridge sought to educate buyers on the benefits of outsourced or managed services vs. in-house operations, and how it can enable executives to focus more on raising capital and driving growth. 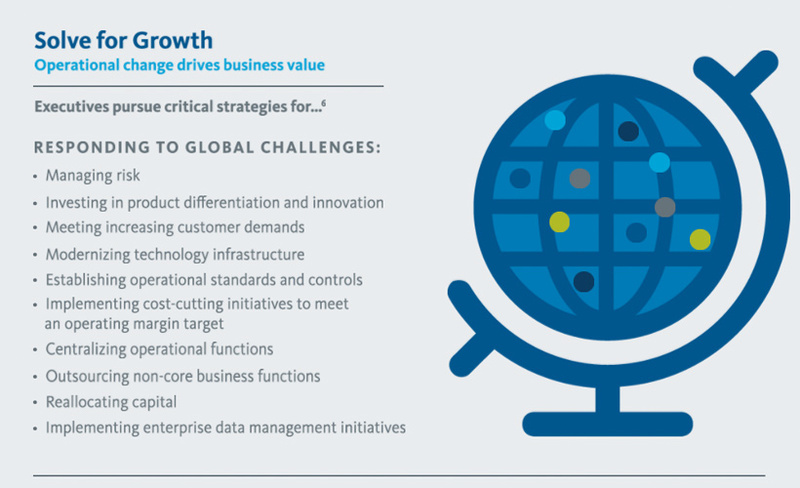 But because the sales cycle for Broadridge solutions is lengthy, the company had to create a campaign that delivered target buyers — finance executives and operations/technology leaders — a steady drip of information. 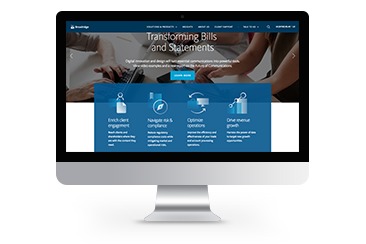 Top-of-funnel content pieces included an interactive infographic and E-book that spoke to both personas. Once buyers engaged with these pieces, they would then receive more tailored middle- and late-stage content assets that aligned with their job roles and pain points. These assets, an executive brief, checklist and Q&A, were shorter and easier to digest. 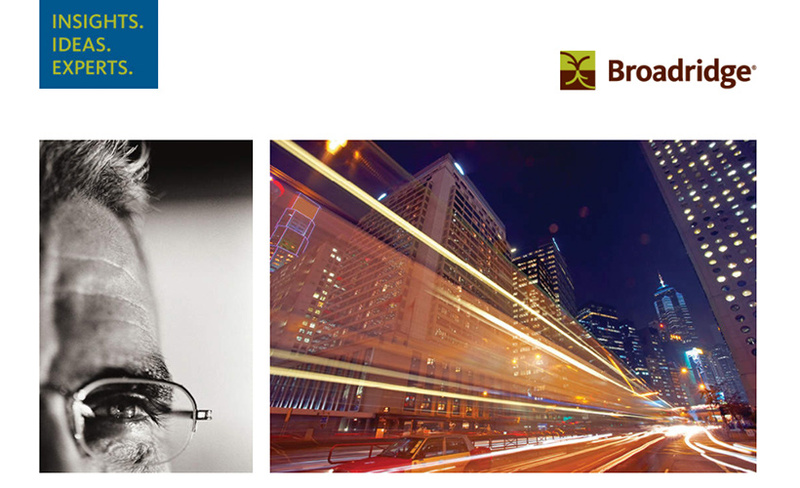 Broadridge then developed an internal campaign guide to educate sales on the campaign goals, individual assets and follow-up conversation starters to ensure quality follow-up. From November 2017 to November 2018, the company generated 2,133 MQLs and 6,995 content downloads. Creating sales support content such as checklists and guides helps improve transparency and ensures that sales reps have relevant and effective conversations with prospects.